Square Bales - Horse Quality Hay for Sale - please check back in July for 2019 hay crop information. 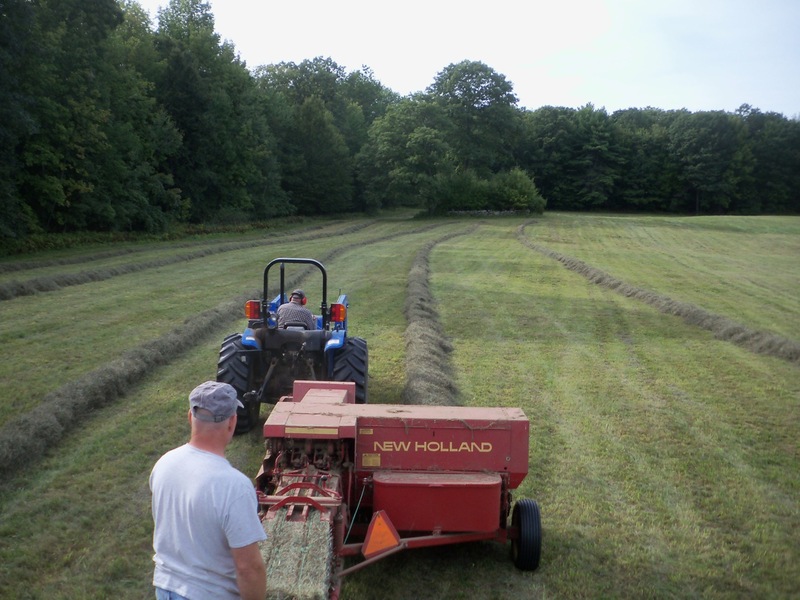 Sold Out: 2018 1st Cut Hay $6, Check back in July for 2019 first cut hay. First cut hay available in square bales. 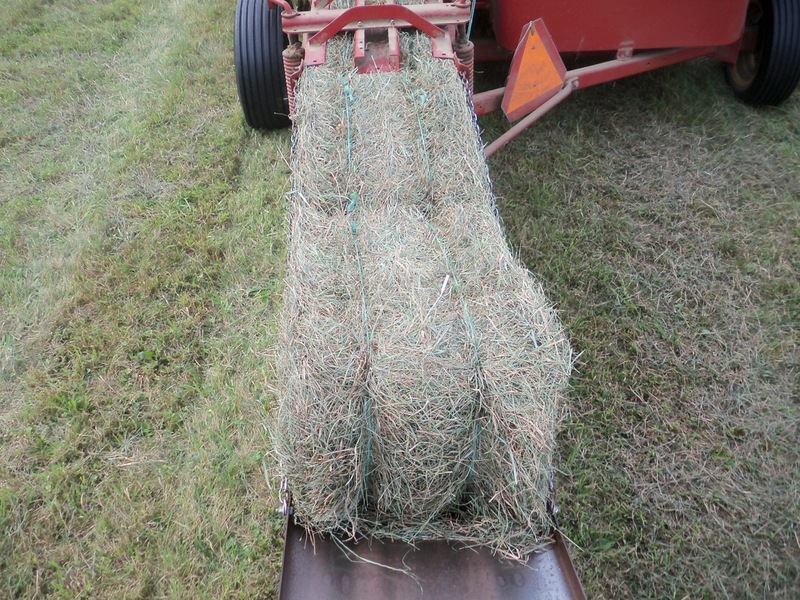 Good sized bales, excellent quality, no weeds. Please call the farm for the latest info. on availability at 207-457-1435. 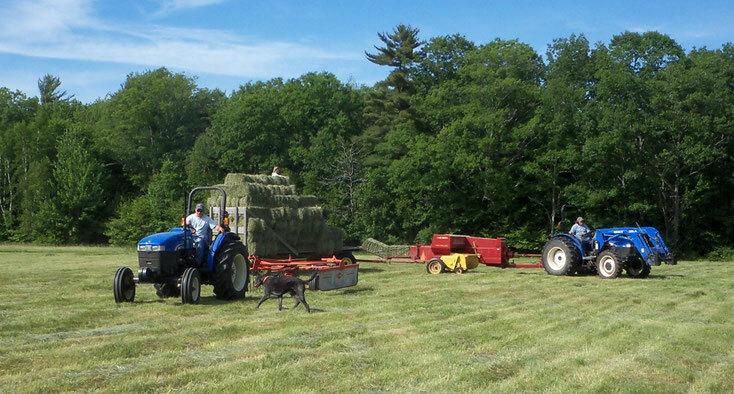 Each year we have hay for sale in square bales. 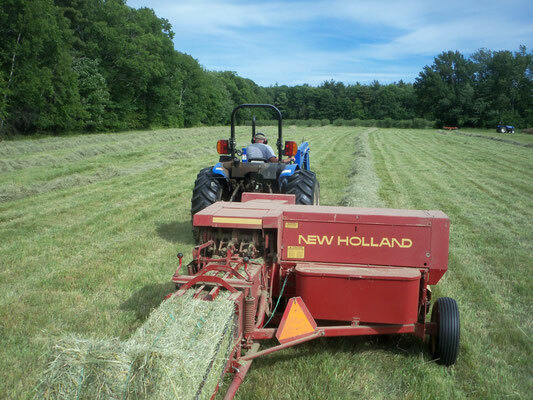 If you would like to buy hay directly off the field the day it is mowed, please contact the farm for more information on dates. 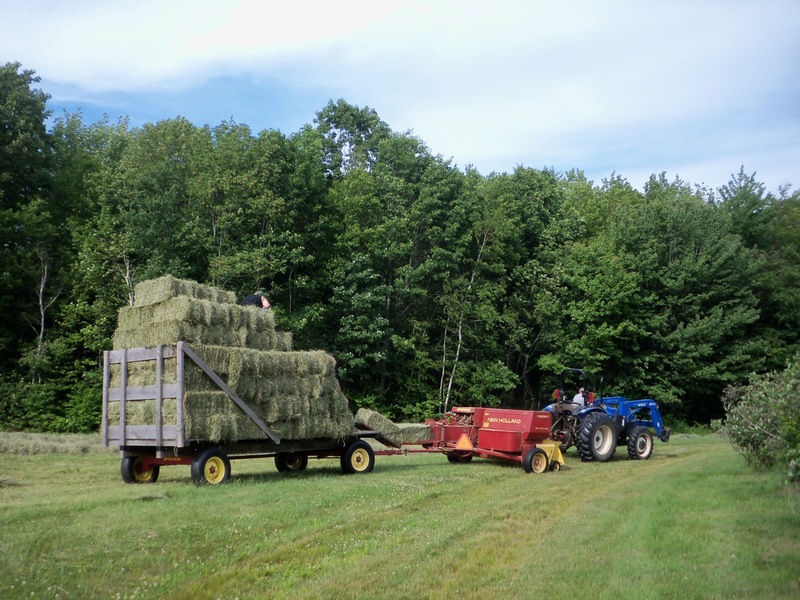 We will also have hay available out of the barn for $6 per bale throughout the summer. Our bales are large, heavy bales, have no weeds, and are very good quality. You are welcome to come purchase a single bale at any time to see if your horses will like it. Our four horses love it and we're sure yours will too!